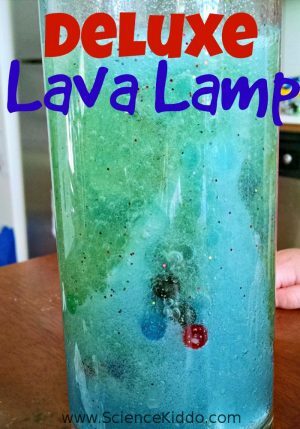 This post was contributed by Crystal of The Science Kiddo. 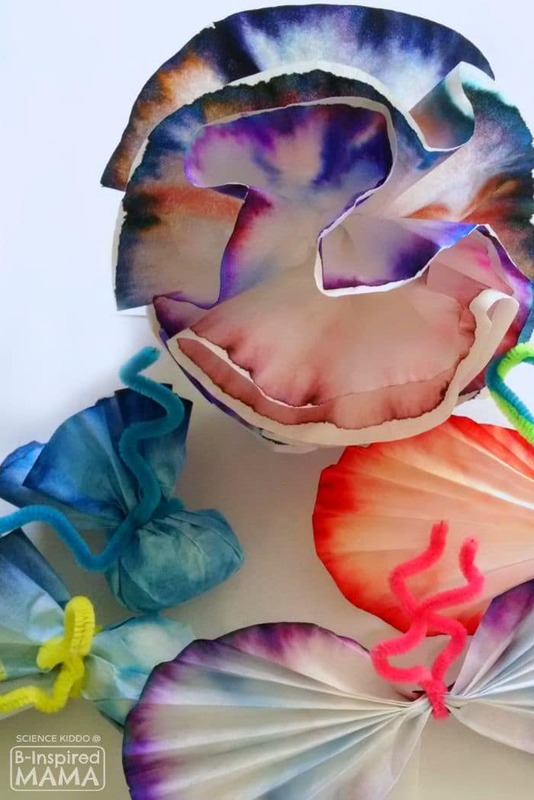 Make Art with a Chromatography Science Experiment! Draw a design with markers on the chromatography paper. Using dark, bright colors will yield the best results. The design can be circular or asymmetrical, whatever you feel inspired to do! Fold the paper in half and then half again until it is narrow enough to fit inside your jar. Place a craft stick at the top of the wedge of paper. Attach a binder clip to the paper and the craft stick. 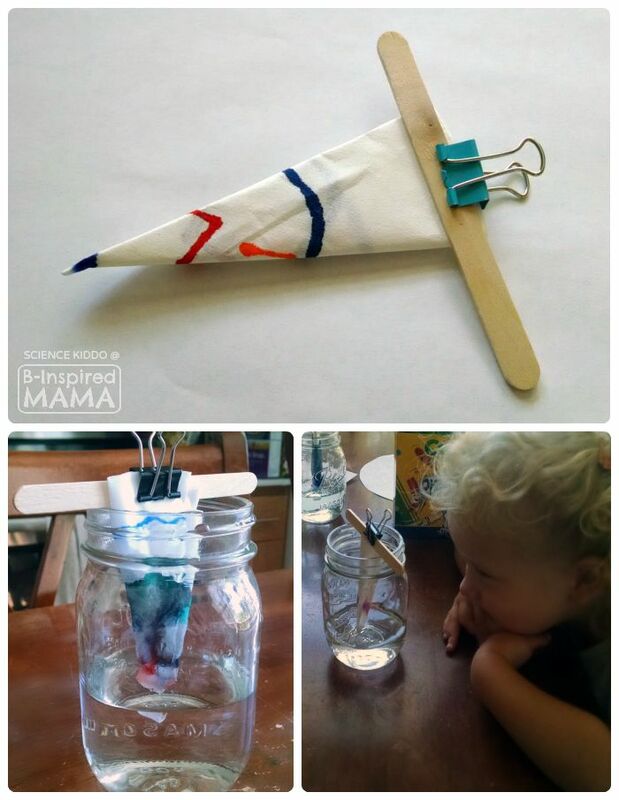 Place the paper in the jar of water (suspended by the craft stick) so that only just the tip of the end is touching the water. Watch as the paper draws water up from the jar. You will start to see the colors separate and spread! When the water line reaches the top of the paper, pull it out, unfold it, and let it dry on a paper towel. 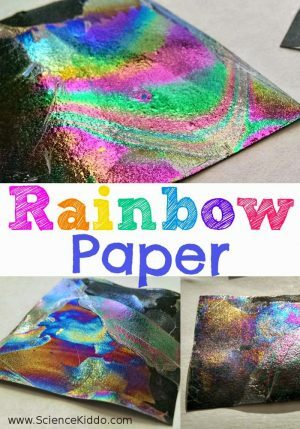 Once the paper is dry you can display it as ­is or fold it into a butterfly, a gift bag, or a beautiful flower! Marker inks are made from many different colored dyes. (This is most obvious with dark colors such as black and purple.) 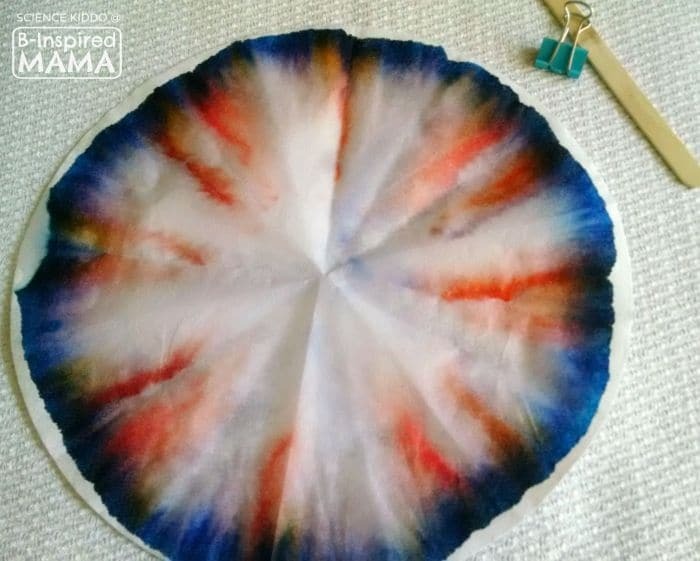 Each dye is made up of different chemicals, some heavier and some lighter, that travel at different speeds as the water moves them up the paper. The heavier dyes will separate out first and move more slowly while the lighter dyes keep moving faster up the paper, creating the tie-­dyed or washed out effect. Try to count how many different colors you see on your final product! Chromatography is used every day in professional chemistry and biology labs. 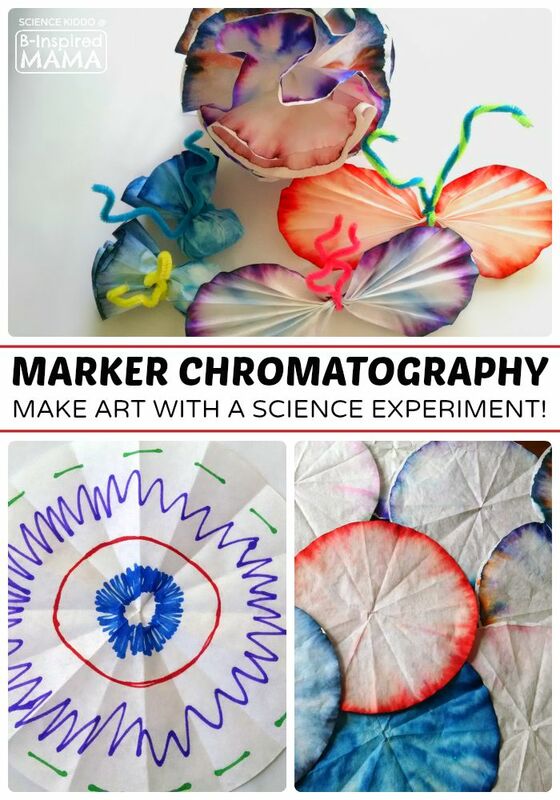 This marker chromatography science experiment is an easy and safe way to play scientist and artist with your child! Crystal is a homeschooling mom of two blondies. 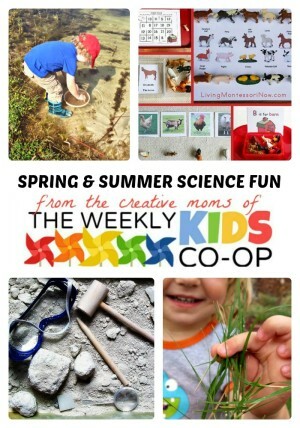 After giving up an academic career in chemistry to stay home with her kids she decided to launch The Science Kiddo to focus on doing science experiments with her children. 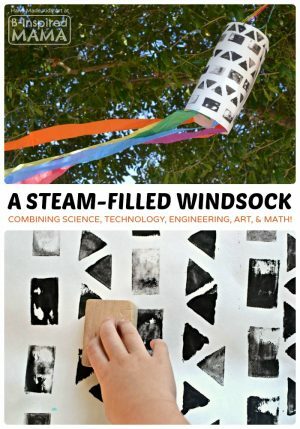 She writes about science and math activities for kids, early childhood science education, homeschool, and carfree living in the city with kids. How long do you leave it in the water in order for the color to spread all the way around the edge? It varies with the specific coffee filter you use and the type of markers. But it shouldn’t take more than a few minutes.